Integrated clothing clip. Hands free calling with integrated mic. PIONEER SE-205 Stereo Headphones TESTED WORKING Vintage 70's Old School 1/4"
What's more they give you the power to personalise your listening experience. Smart Noise Cancelling technology adapts to your ear and the sounds around you. There's also a Smart Button you can customize to bring up your favourite app, mute or unmute a call or launch the Rayz app at a single touch. Pioneer lightweight on-ear wireless headphone is designed to fit comfortably for high-quality audio listening. Ideal for use with smartphones, simplify your music and phone calls by using the built-in controls and microphone, also easily pair up to 8. Sports earphones. Bluetooth 4.1 - Transfer format. 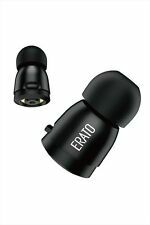 Pioneer Rayz Plus Noise Cancelling Talk Charge Smart Earbuds Black. Shipped with USPS First Class Package. You also get extra ear buds included. 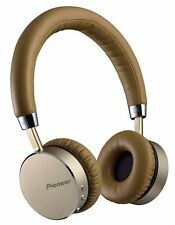 Pioneer Bluetooth Wireless Headphones Limited Gold Edition. -Wireless and One Touch NFC Connection. Model SE-MJ561BT-T.
Pioneer ClipWear Active In-Ear Wireless Headphones. With built-in Bluetooth technology, the ClipWear Active in-ear headphones allow you to enjoy music and calls wirelessly. 3 of battery life, the ClipWear headphones will keep the music coming from your warm up to cool down. The 3D Active Fit design employs a ball joint to keep the headphones aligned in your ears, improving sound and stability. Utilize the in-line remote to enjoy your music and answer calls. Manufacturer Part Number. Pioneer IRONMAN E3 Sports Earphones | Black | Model -SE-E3M(B)CC. Only one user manual. New Listing1972 Era DJStyle Vintage OldSchool Pioneer SE-305 OverEar StudioType Headphones! 1972 Era DJStyle Vintage OldSchool Pioneer SE-305 OverEar StudioType Headphones!. Condition is Used. Shipped with USPS or similar. US Customers Only. Amazing that these headphones were introduced in 1972 and are now close to 50 years old!!!!!! Stylish retro and extremely cool. The HDJ-X5 headphones feature a new 40-mm driver with copper-clad aluminium wire (CCAW) voice coils. 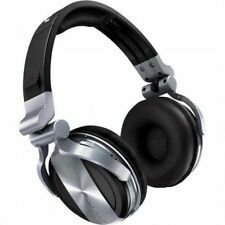 Pioneer DJ HDJ-X5 Over-ear DJ headphones Key Features:Outstanding sound. The HDJ-X headphones are designed to be flexible. Sound is now smarter. When you’re on a call, Rayz knows when you’re speaking and when you’re not. It’ll automatically mute you when you’re not speaking, and it’ll unmute you as soon as you’re speaking again. 1.2M cord. Note that the cord is longer for one earbud to allow the wire to drape around the back of the neck and keep the input cord away from zippers. Hard shell wind-up case. 16 Ohms; 98 dB sensitivity. 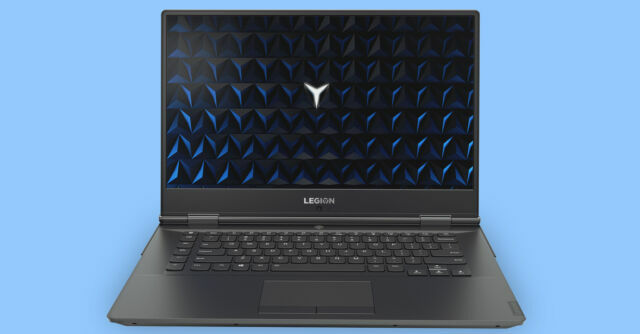 Item model number: XW-LTS5(B)CU. Plug and play simplicity: plug it in and it works - one smart button handles everything. Highly portable: the clarity of a conference system in a pocket-sized speaker. Vintage Pioneer SE-A1000 Headphones Headband Excellent Sound!! Listed as being in lightly used condition, these appear to be in great condition. 4.5 out of 5 stars - Vintage Pioneer SE-A1000 Headphones Headband Excellent Sound!! 12 product ratings12 product ratings - Vintage Pioneer SE-A1000 Headphones Headband Excellent Sound!! Fit Design Over Head. happens or we make a mistake. the problem and make it right. if your item had any problems such. We must work hard to solve. We promise to work hard on. Frequency Response 5Hz～22kHz Impedance. 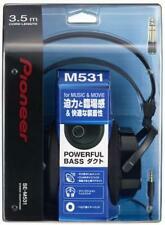 Pioneer BASS HEAD series Sealed headphones SE-MJ 751. Stereo Headphones In Black. Pioneer HD Sound. NEW Pioneer Ironman IM5 Bluetooth Wireless Sports Headphones grey-A1. Condition is New. Shipped with USPS First Class Package. 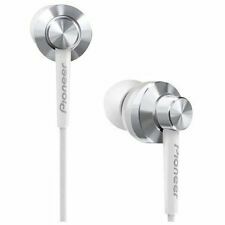 This listing is for a pair of Pioneer Rayz Plus Lightning-Powered Noise Canceling Earphone SE-LTC5R. These are the Rayz Plus, which includes the "listen & charge" adapter, so you can charge while using them. They have been tested and verified working with an iPhone 5C, as pictured. Shipping is offered within the contiguous United States. Returns are accepted within 30 days. What's more they give you the power to personalize your listening experience. 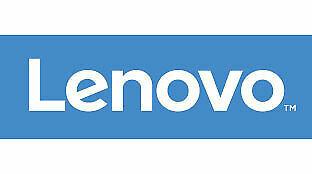 Smart Noise Cancelling technology adapts to your ear and the sounds around you. There's also a Smart Button you can customize to bring up your favorite app, mute or unmute a call, or launch the Rayz app at a single touch. 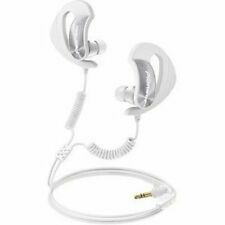 Authentic Pioneer SE-CS22 Basic Stereo Earbuds - Only $16.97 w/ FREE Shipping! PIONEER STEREO STEREOPHONIC SILVER HEADPHONES #SE-2P In Box - MINT. Condition is Used. Box has some water damage shown in pictures. Smoke free house. We put in our shipping cost by the weight chart ebay provides. If we do not use all the shipping you pay, we will send a refund. These are not our costs but the postal system costs. We do not make money on our shipping. We do combine shipping costs on multiple purchases made at the same time. Please look at all the pictures that are included. We try to describe the items to the best of our ability but we are only human. Please feel free to ask questions. We'd rather have buyers ask first rather than have problems later. Thank you for looking and enjoy your time with us. Pioneer Ironman IM6 Wireless Sports Earphones, Black SE-IM6BT(B). Condition is New. Shipped with USPS First Class Package. BRAND NEW SEALED PACKAGES Pioneer Ironman Santa Cruz Wireless Bluetooth RED Eaebuds. Pioneer Bluetooth and High-Resolution Over Ear Wireless Headphone, Black. The Pioneer SE-MS7BT-S headphones are over-ear high-resolution Bluetooth headphones with aluminum Housing & soft synthetic leather. You will receive the headphones shown.